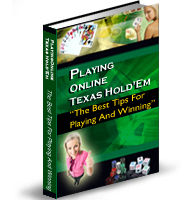 The number of players and people having a passion for poker is increasing, and also for this reason we can certainly claim that poker is able to fascinate millions of people. Poker has always fascinated also directors and filmmakers from all over the world, who have dedicated many of their movies to this game and to the dynamics that it creates. Sometimes poker is the main character of the movie, while in other cases it is left in the background, as the setting where the characters of the movie act and where their stories develop. From Hollywood to Cinecitt, many movies have been set in smoky poker rooms or in sparkling casinos, and many of these movies have gone down in history. An example? The Sting, the movie shot by George Roy Hill in 1973 starring two legends of Hollywood like Paul Newman and Robert Redford. In this movie, which won 7 Academy Awards, including best movie, director and screenplay, poker does not have a main role. Nonetheless it is part of one of the best-known scenes of the movie, in which the character played by Paul Newman, Henry Gondorff, plays a poker game on a train and succeeds in making a fool of his rival pretending to be a drunk bookmaker. Going back in time and speaking about the comedy genre, we cannot leave out Kaleidoscope (1966), a movie starring Warren Beatty and Susannah Yorke that is not very famous, but those who have a passion for poker will certainly like it. The movie is about a player that succeeds in cheating many casinos in Europe, but he meets the daughter of an inspector of Scotland Yard, and she begins having many suspects. In most recent times, other movies have been released: in 1998 Lock&Stock made its director, Guy Ritchie, famous all over the world. This is a comedy set in the East End of London and it tells the deeds of four friends that have lost a huge amount of money playing poker and have to give the money back to a local gangster boss. In the 90s many other movies with some relationships to the world of poker were released, like Martins Scorseses Casino, a movie of 1995 starring Robert De Niro, Sharon Stone and Joe Pesci, and Rounders, a movie shot by John Dahl starring Matt Damon, Edward Norton and John Turturro. In this movie the champion of poker John Chan plays a cammeo, and in one of the most famous scenes of the movie the characters played by Matt Damon plays a game of Texas Holdem. Among all these American and English productions there are also some Italian movies we can speak about. Italian director Pupi Avati, for example, has shot two films featuring a poker game: Regalo di Natale in 1986 and La rivincita di Natale in 2003. The latter is the sequel of the first one, which tells the story of four friends that play a game of poker on Christmas Eve. This article was written by Francesca Tessarollo with help from forum poker online. For more information, please visit poker giochi on line or poker legale Italia.